So guess what? 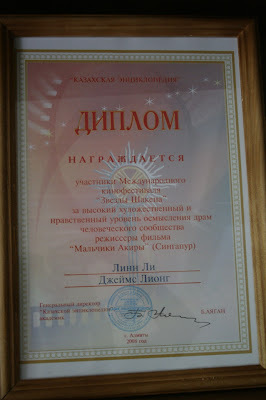 We won an award in Almaty. This one came as a big surprise: The Encyclopedia Prize, given to Aki Ra’s Boys for integrity and creativity in filmmaking. 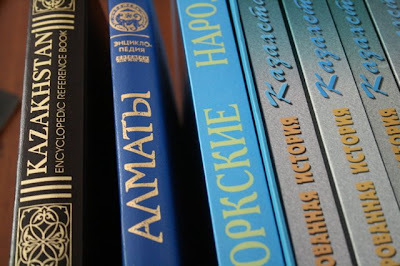 The prize, as the name implies, included a beautiful set of encyclopedias about Kazakh culture and history. Six very heavy and very Russian books. They’re a great addition to our overloaded shelves. Now all we have to do is go learn the language.